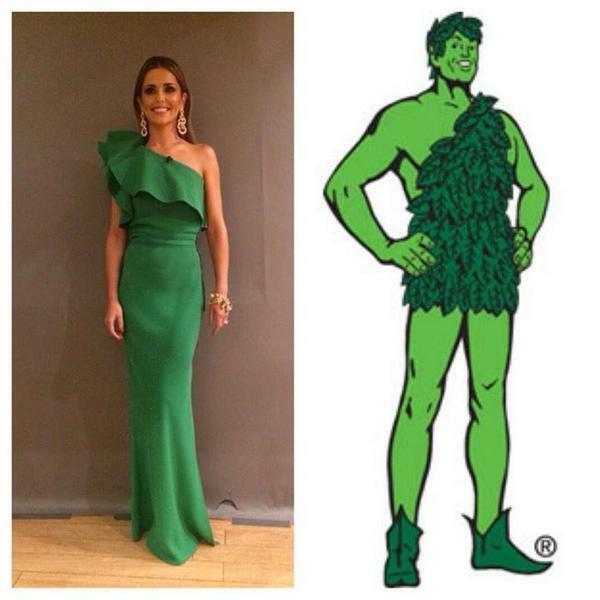 Ok so Lanvin is a designer that celebrities have been rocking these days..and Cheryl rocked hers on Xfactor duty over the weekend.. But Simon Cowell thought she looked like Kermit..he actually called her Kermit lol.. and shortly after the internet was agog with the Memes! Lol.. I think its a gorgeous dress maybe not 100% suited to Cheryl a lil bit of a fuller frame maybe?? she sure still look great but the jokes?? lol.